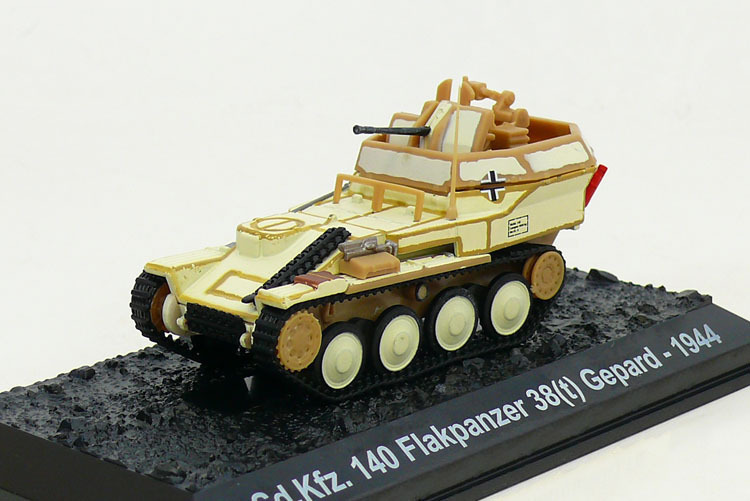 The Flakpanzer 38(t) (officially named Flakpanzer 38(t) auf Selbstfahrlafette 38(t) Ausf M (SdKfz 140)) was a German self-propelled anti-aircraft gun used in World War II. The Flakpanzer 38(t) was designed around the chassis of the Czech-built LT-38 tank and was built from November 1943 to February 1944, entering service in 1944. As the vehicle used the 38(t) Ausf M chassis, the engine was near the middle of the vehicle and the armament was placed at the rear in a specially designed armoured section. The upper part folding down to allow 360 degree traverse at low elevation. 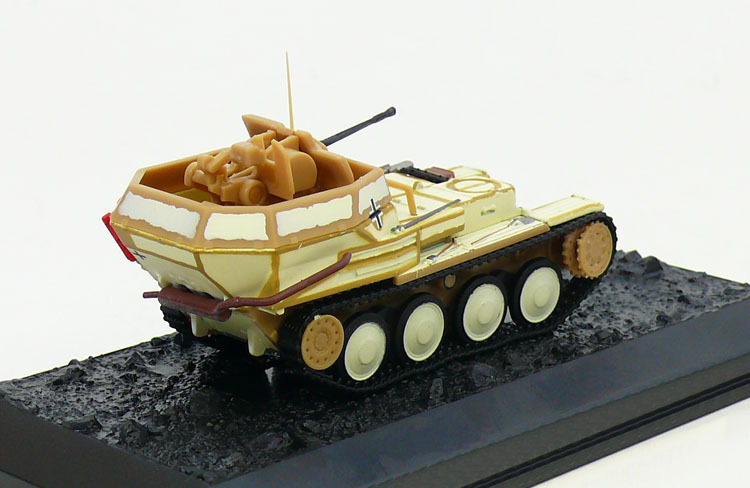 During World War II, a total of 141 Flakpanzer 38(t)s were built, including the single prototype vehicle. The Flakpanzer 38(t) was intended to be issued to the anti-aircraft platoon of each tank battalion (Panzer Abteilung) in a Panzer division. Most of the Flakpanzer 38(t)s were issued to Panzer Divisions on the Western Front, the remainder served on the Eastern Front. An example user being the 12th SS Panzer Division. As its folding superstructure allowed a very low (-5°) elevation the Flakpanzer 38(t) was often used against enemy infantry and unarmoured or lightly armoured vehicles.